Veterinarians had to sedate a dog after a chew toy became lodged onto her lower jaw. Playing with the toy turned into a very stressful situation for Daisy, a seven-month-old-black Labrador retriever, after it got lodged onto her lower jaw. “She required sedation because it was very tightly stuck over her lower jaw, and the doctor removed it by cutting a portion of the toy off with a cast saw, a saw that will not damage soft tissues, but will cut more rigid items,” explained Alicia Z. Karas DVM, DACVAA, hospital director at Tufts Veterinary Emergency Treatment and Specialties in Walpole, Massachusetts. The dog’s owner initially went to the Wrentham, Massachusetts, fire station and asked the fire personnel if they could help. Emergency medical staff there determined that Daisy didn’t have a compromised airway, but that she was in distress. They tried to use a hydraulic cutter to free the object, but were unsuccessful. 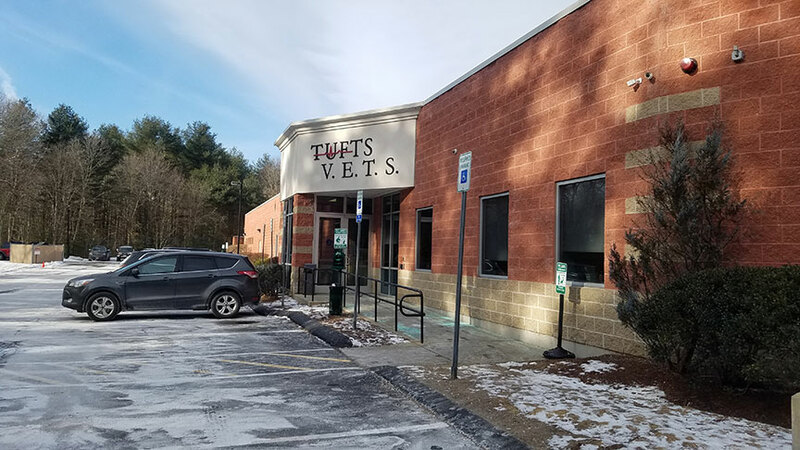 “The owners brought the dog in [to Tufts Veterinary Emergency Treatment and Specialties in Wrentham, Mass.] at the suggestion of the fire department,” says Dr. Karas. “We are all deeply appreciative for their willingness to help a doggie in trouble. Meanwhile, Daisy is back home under the watchful eye of her owners. Read Endoscopic Foreign Body Retrieval.